Which technical specifications motivated your choice? I had until recently the Eris E5 and I was very happy with them! Is the frequency response neutral enough? Compared to the Eris E5, I'd say yes, considering that the lows are more significant on the E8. Is the sound clear and accurate across the entire frequency spectrum? Absolutely! I think they are very well balanced. Is the stereo image good? It's very detailed and correct both at low and high volumes. Once again, everything seems fine. A couple of days only. Having used the E5 before, my analysis is positive when comparing both. I think the E8 are clearly a step above in terms of sound and fidelity. I mixed several songs with the Eris E5 and I have noticed that some details that went unnoticed with them are clearly audible with the E8! Did you try any other models before buying this one? No, but in light of the very positive feedback with this type of monitors, I didn't take me too long to make up my mind! How would you rate its value for money? 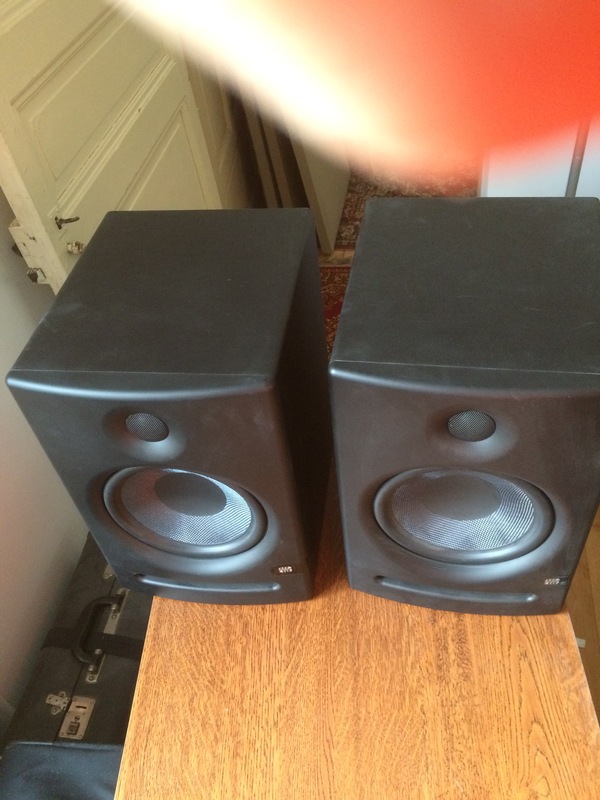 The quality of the monitors is very good, both in terms of finish and sound. I think the price is very adequate and on par with most monitors in the same category. Time will tell, but I think I would buy them again. The frequency range, the reasonable power and the controls directly on the speaker. Home studio but also to listen to music. 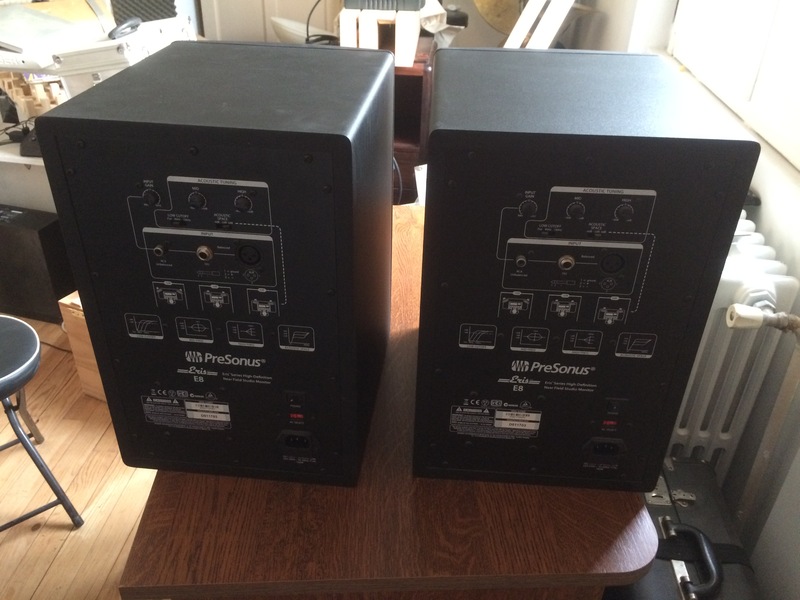 Right now they are connected to the monitor output of my Digidesign 002 Rack, next to my hi-fi speakers (Ohm HF 201), which are fed by a Pioneer VSX924 receiver. That way I can compare the same song on both pairs with a single click. - Is the frequency response neutral enough? The response is truly superb for speakers this size. The lows are round and punchy (with the controls on the rear of the speakers halfway), the highs are clear and well-defined, only the mids are a bit too emphasized for my taste when you leave the listening zone (the equilateral triangle). - Is the stereo image good? It's perfect if you place the speakers as recommended, tilted towards you in order to form an equilateral triangle with the two speakers and your listening position. - Is the sound clear and accurate across the entire frequency spectrum? As I mentioned above, the high mids are a bit too present and, sometimes, the lows are a bit discreet but, all in all, I'm very satisfied with them. The sound is heavy, clear, twangy, very present, with a remarkable subtlety. They can easily stand up to my old ADAM A7 and completely debunk my even older SAMSON Resolv 65A!! 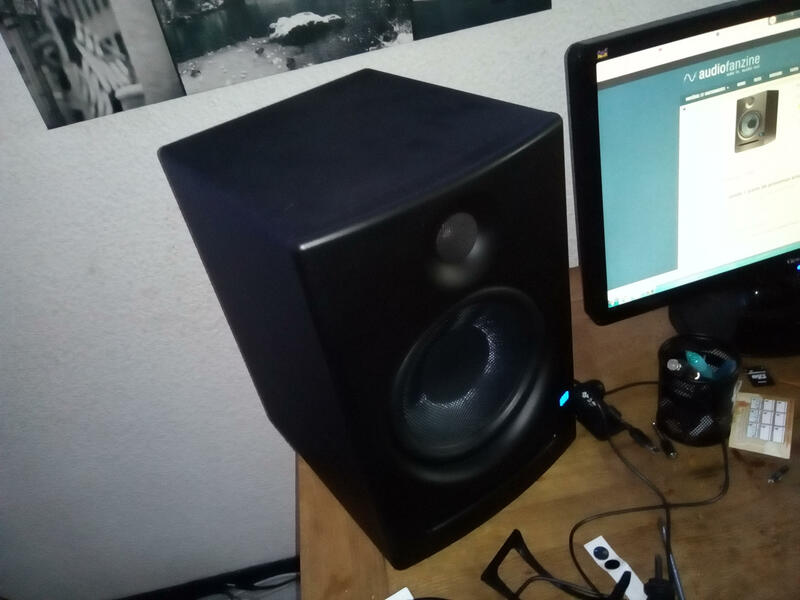 As a knowledgeable music lover and a hobbyist sound engineer, I'm completely satisfied with the performance of these speakers. And for the price, it's a unique opportunity to make yourself with a very good audio system. - How long have you been using this product? The controls to adjust the lows and highs directly on the speaker are a nice and very useful detail. On the other hand, the power switch on the rear panel...It's a detail that takes me back 50 years!! I don't understand why it hasn't become mandatory to put it on the front panel, it's much more practical and simple....but that's only my humble opinion. UNBEATABLE. 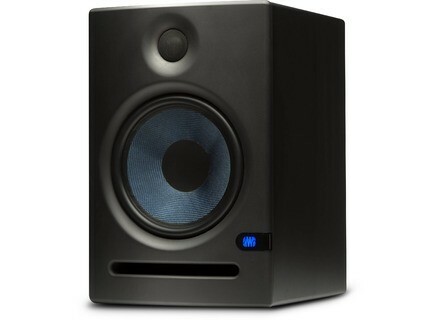 This quality, this performance, this finish, the design, the sound, the overall impression....Everything is worthy of professional-quality monitors and, at this price point, it's unheard-of. With my eyes closed and my ears wide open!! I'm more than satisfied with my purchase, I hope they hold up in the years to come, that's the only point I can't say anything about right now. jeff13th's review"Can't do any better for the price!" First of all, I have to specify that I'm from Montreal, so the price is in Canadian dollars without taxes. The lows, which are really solid, honest and not muddy, I record mostly metal and rock, so that's a must! 6-string basses and 7- and 8-string guitars can be heard at their full capacity! Is the frequency response neutral enough? Is the stereo image good? Is the sound clear and accurate across the entire frequency spectrum? Is the dynamic response faithful? .. Yes, these speakers impressed me right from the first listen and they still do after 1000 hours of listening. I won't go into any details because I agree 100% with everything that has been written about them in other reviews on Audiofanzine, I have nothing to add. How long have you been using the product? 6 months. The tight lows and the fact that I can work for hours and hours without listening fatigue. What I like least is the power switch on the rear. Their value for money is unbeatable up to this day. I would buy them again tomorrow without hesitation. And I don't give them 10/10 because nothing is perfect! G²'s review"Very good for the price"
Features available at the Presonus website and also in the review by Audiofanzine. 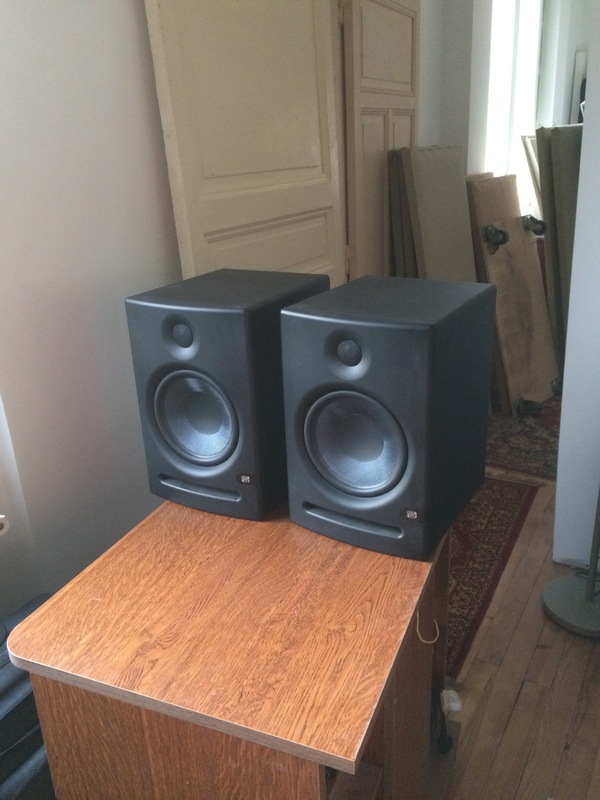 I was looking for some not-too-expensive monitors with an 8 incher to avoid having to use a subwoofer. I use them to listen to music at home. Very good sound. The speakers seem well-balanced to me. Clear and precise highs. Mids not too upfront. 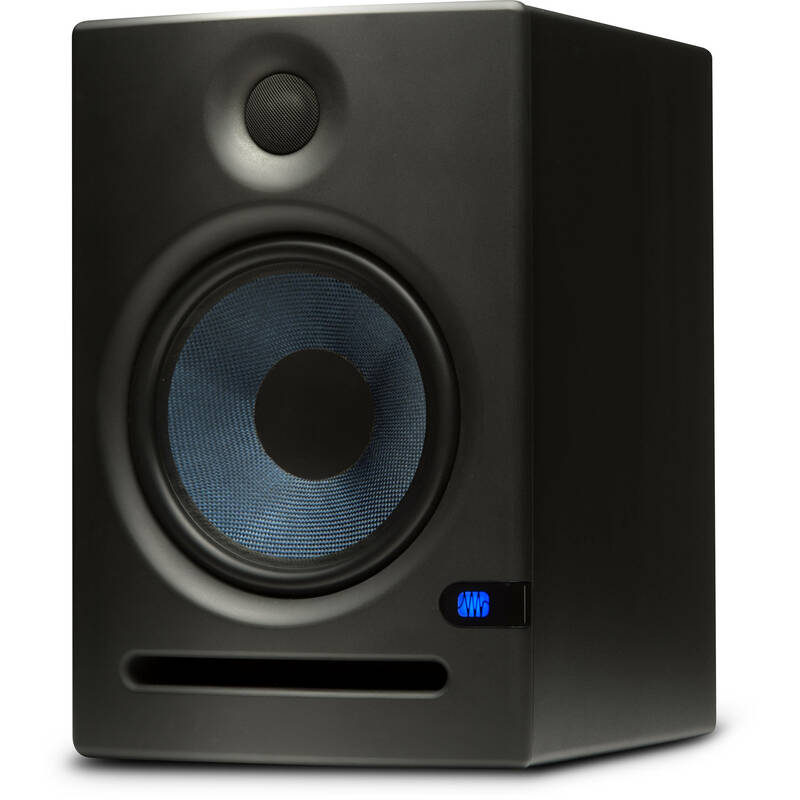 The speakers have a good dynamic response and perform very well with all types of music. The stereo image is okay. I've been using it for two and a half months. I also listened to other models by Yamaha (HS8), Prodipe (TDC8), Focal (CMS)... The Eris 8 seem to be the best value for money by far. What I like best is the numerous controls, the plentiful connections, the excellent sound for speakers this price. I would definitely buy them again because, even if spending a bit more, I'm not sure I would find something better. PreSonus today unveiled at NAMM its new Eris-series 2-way, bi-amped studio reference monitors, with two E8 and E5 models.